We're always looking for employers interested in taking on our students as interns. 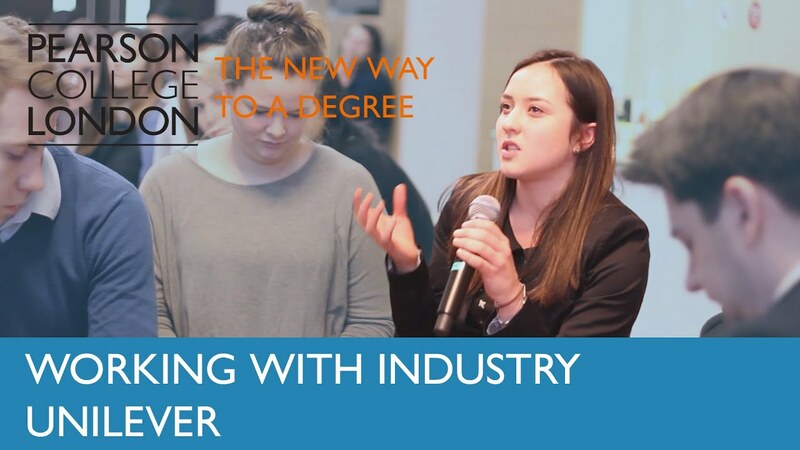 Studying at Pearson College London is industry-orientated and career-focused, so we can promise you people with fresh perspectives, good ideas and the confidence to fit into any role. All our full-time business, accountancy and law undergraduate students get the opportunity to benefit from internships (subject to academic performance) so we want to make sure it's right for everyone involved. To make that happen, we'll work closely with you and each individual student, to make sure their career goals, strengths and talents match the opportunity you're offering. Giving you passionate, enthusiastic interns with the skills to really add value to your organisation. For our students, internships are a great way to develop their employability skills and gain practical, hands-on experience in an industry or role they're really interested in, so you'll be helping to support new talent and potentially, discovering new employees. Where possible, we try to make sure internships are paid and last for an average of six weeks, to give our students a real taste of life in the workplace. We're committed to talent development and we want our students to achieve their career goals, whether they've got a dream job in mind or simply want to explore and see what's out there. Students on our degree programmes get one-to-one, personalised career coaching and support from day one, helping them develop the kind of skills, qualities and experience you need as an employer, such as communication skills and being able to work as part of a team. Each degree starts with an induction weekend, where our students meet their Talent Coach and begin writing their personal and professional development plans, outlining the steps they need to take to achieve their career goals. We then work closely with each student, throughout their studies, to make sure they're on track to achieve their aims and aspirations. For example, our Talent Coach helps students explore job opportunities, find work experience, apply for graduate jobs and much more. Students also have a company-based mentor to help and guide them and get a lot of support from our academics, who are actively engaged in industry themselves. Having the opportunity to share with up and coming leaders in business has been a real privilege for us. What we’ve been able to do this afternoon is hopefully plant a seed in the minds of future leaders being developed by Pearson College London, to think very differently about how business will be run, and how business will be contributing to the challenges and opportunities the world faces. If you’d like to find out more about internships or you are interested in becoming an industry partner, our Strategic Partnership team would be happy to talk through your ideas and how we can benefit each other. Call us on 0203 441 1303 or email info@pearsoncollegelondon.ac.uk.